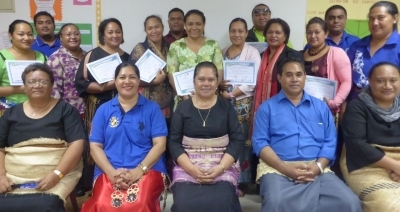 In 2014, teachers from Tonga College ‘Atele, Tonga High School and Tonga Side School undertook professional development exploring concepts of science and health literacy. They identified that in order for young people to explore and understand evidence about issues such as the growing burden of obesity and diabetes, they needed to be given opportunities to learn how to question and to understand how scientific evidence is developed. The teachers undertook an action research project to identify the extent to which Year 8 students were given opportunities to ask and answer questions. They identified a number of barriers preventing students from engaging in questioning, as well as enhancers that helped students to engage in questioning. The peer-reviewed article reporting on this work is published in the Asia-Pacific Forum on Science Learning and Teaching and can be downloaded here. Opportunities for students to take part in open-ended research. 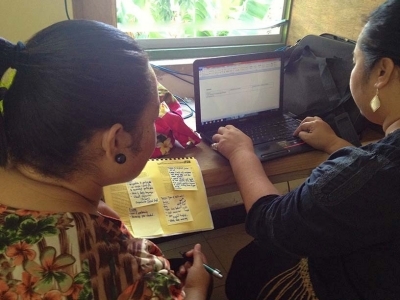 Teachers at Tonga College 'Atele wanted to investigate whether introducing hands-on learning could enhance opportunities for students to engage in questioning. One of their challenges was that they did not have a working teaching laboratory. They undertook a fund raising campaign and within a year had refitted a teaching lab in the school and received enough donated or borrowed basic laboratory equipment to get started. To the surprise of the students, the team allowed the Form 2 students (age 12 years) to experience the hands-on learning first. 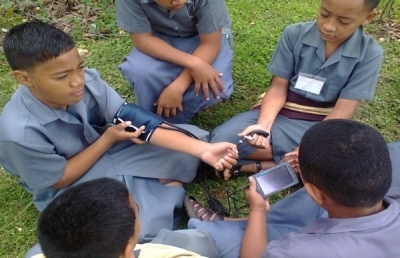 The video tells the story of the first day that the team from Tonga College ‘Atele introduced hands-on learning for Year 8 students, and reflects on the impact that this change in teaching style had during the rest of the year. Understanding the nature of scientific knowledge is an important capability that supports young people to be able to use scientific evidence when exploring socioscientific issues such as the noncommunicable disease epidemic. The Healthy Start to Life learning modules are designed to support students to experience doing science, as well as exploring the work of scientists. In the video Mumui La'akula shares with us the impact of learning that allowed students to ask their own questions and design and carry out their own investigations.